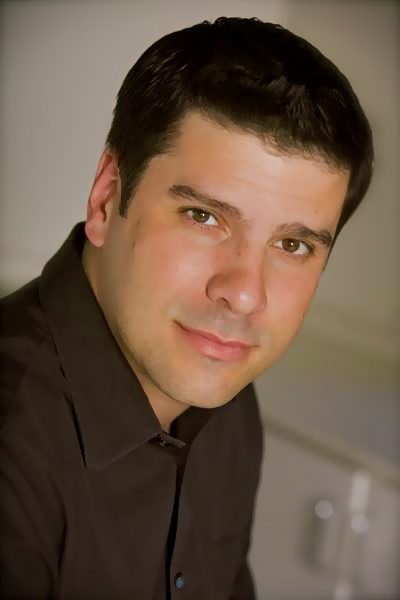 Joe Menendez is a film and television director, writer, and producer. His credits include the Lionsgate film Ladron Que Roba A Ladron, Three Holiday Tails (a.k.a. A Golden Christmas 2), and Hunting of Man. He’s also directed/written/produced many hours of television for Disney, Nickelodeon, FOX, PBS, HBO, Spike TV, BET, and Telemundo. Menendez currently lives in Los Angeles with his wife and daughter. Mindshot is his debut novel. Dr. Norman Logan never expected his invention would lead to a fundamental evolutionary change in mankind. He simply wanted to be Steve Jobs or Mark Zuckerberg. Dr. Norman Logan's intention was to change the world when he invented The Mindshot. But he never expected that he would literally succeed in not only changing the world, but in completely altering the human race as we know it today. It started the day the aliens arrived, descending from space, their mother ship hovering over the military base at which he worked. That was the day he finally understood what he'd done. Logan learned that these alien visitors were not aliens. These humanoid, lanky creatures that looked like what we've come to accept as "classic-alien", were actually... evolved human beings. Why did we evolve into this? How can this happen? To Dr. Logan's horror, he discovers that in years to come, The Mindshot will inadvertently spark a dramatic chain of events in human evolution, ultimately transforming our appearance radically, from homo-sapiens into the next evolutionary phase of man, called homo-telethians. And these homo-telethians, have traveled back in time from 3000 years in the future, to present day, desperate, because of an unforeseen turn of events in their lifetime. Something else has evolved out of humans as well, something fundamental to mankind: their ability to procreate. Which means, these alien-looking, but entirely human visitors are amongst the last men on Earth. Once they die, mankind will too. Extinction, unless they can restart the human population. Which is why they're here from the future, conducting what they call: Operation Noah's Ark. They've come seeking human volunteers from today, to travel into tomorrow, and repopulate the Earth. Thus saving mankind from extinction. Conflict and strife ensues when the question is asked: Is it wise for us to go correct mistakes in the future, mistakes we have yet to make, or is it better to stay put in present day, and fix our mistakes today, altering our current path, so as to never evolve as we do.